It’s April, and you know what that means! That’s right! Baseball season is in full swing, and it’s time to root, root, root for the home team! 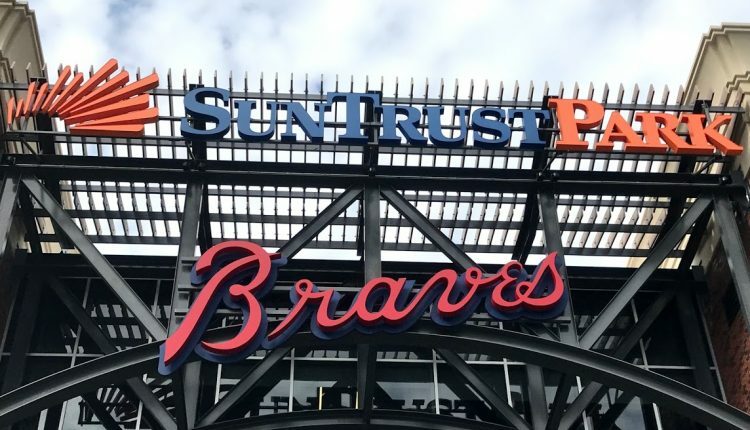 It’s a season of peanuts and crackerjacks as the Atlanta Braves begin season 4 in their brand new stadium, SunTrust Park. 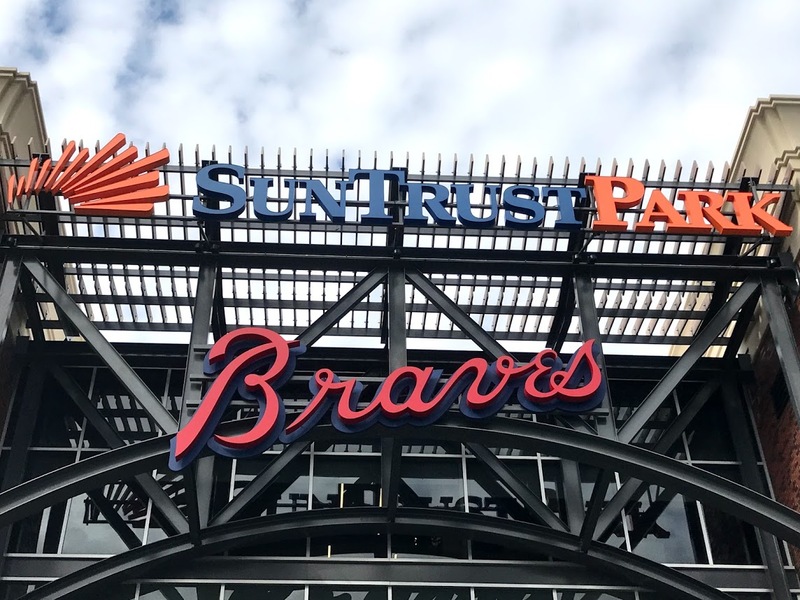 My family recently had the opportunity to experience a game during opening weekend, and the excitement at SunTrust Park could be felt from everywhere and everyone! I was expecting traffic to be bad for our first visit to the new park. Surprisingly, our navigation system gave us an estimated drive time of 45 minutes. 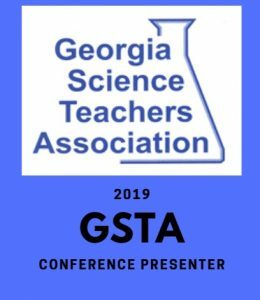 That was the distance from my home in the suburbs south of Hartfield-Jackson Atlanta International Airport to the park on a FRIDAY night! If you know anything at all about Atlanta traffic and that I have to travel north through the 285/20 mess, you would know that this was excellent timing! I honestly found it almost too hard to believe! Sure enough, we were there and even had time to snap pictures and walk around the Battery Atlanta before the first pitch was delivered. So if you are thinking that traffic and parking are going to be an issue, I suggest you reconsider. It really was not bad at all! The traffic seemed to flow around the entire complex due to the multiple places to park. You even have the option of purchasing your parking when you get your tickets which is something I strongly suggest you do. If not, the only option for you is to park in the Red Deck. Being educated about the venue and parking will be necessary! 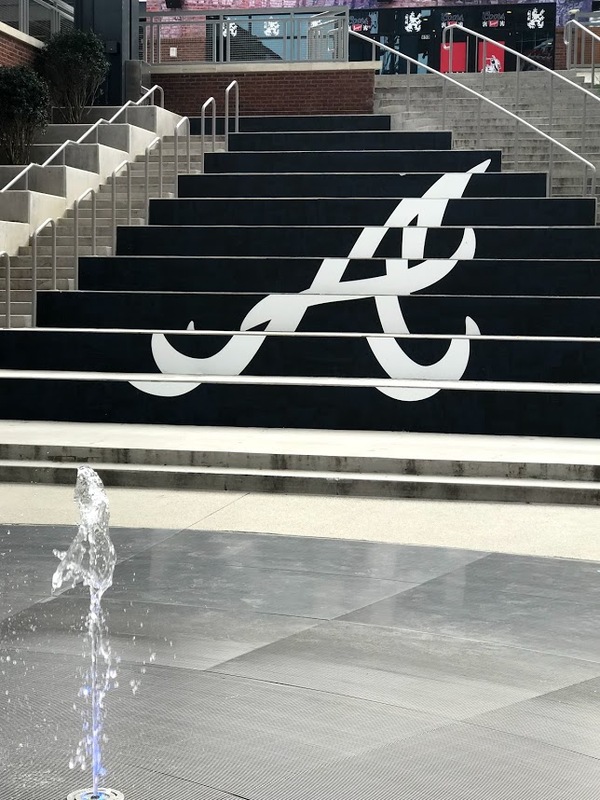 One of the cool features of this new park is The Battery Atlanta. 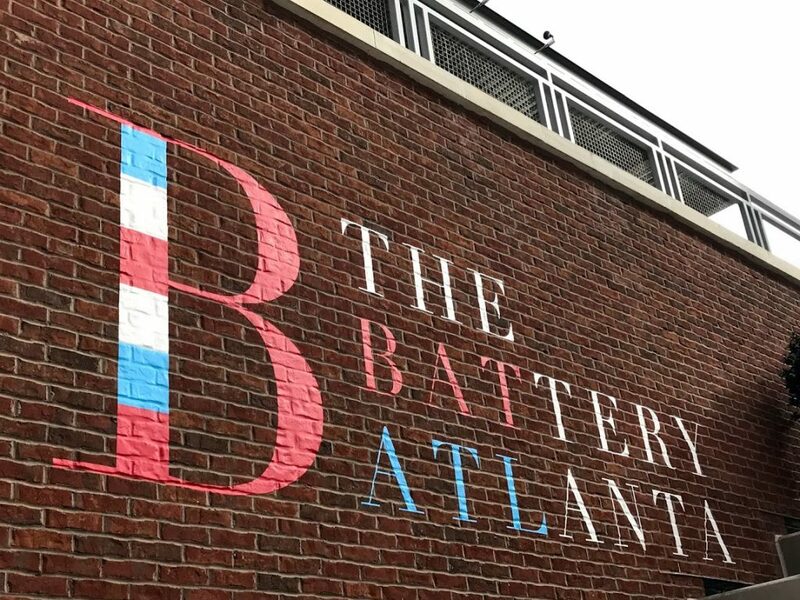 The Battery Atlanta is an area right outside of the actual stadium that offers a variety of entertaining, shopping, and dining options. Open every day of the week for the entire year, this is the spot to hang out! They have even coined it as a live-work-play environment. Everything you could think of is located here from apartments to hotels to dining and entertainment, it is like its own little city! Those that want to be apart of the action and don’t have a game ticket can feel like they are inside the gates by being here. It’s accessible to all with or without a game ticket. Seriously! 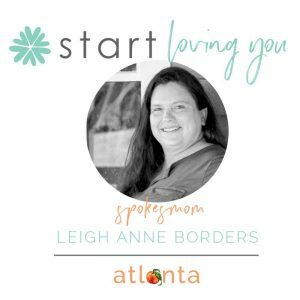 Atlanta’s newest outdoor destination is something you will want to arrive early for! Getting through the Chop House gates and security was no problem at all. Our wait time was only a few minutes. The stadium itself is aesthetically pleasing to the eye, and every seat really does feel close to the action, making it seem more intimate. Inside the park, there are several exhibits worth checking out. On the lower level behind home plate near Section 125, you will find Monument Garden. 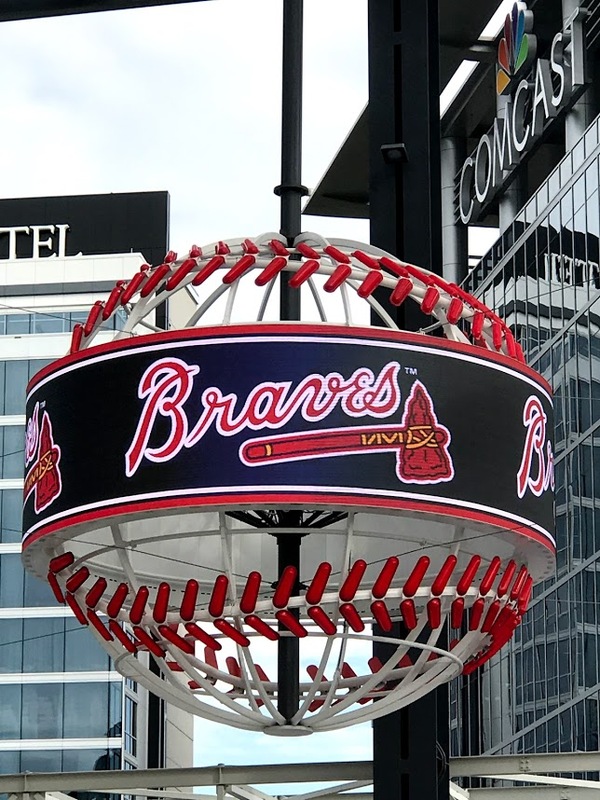 This exhibit showcases Braves memorabilia and in the center stands a statue of Braves Hall of Famer, Hank Aaron. 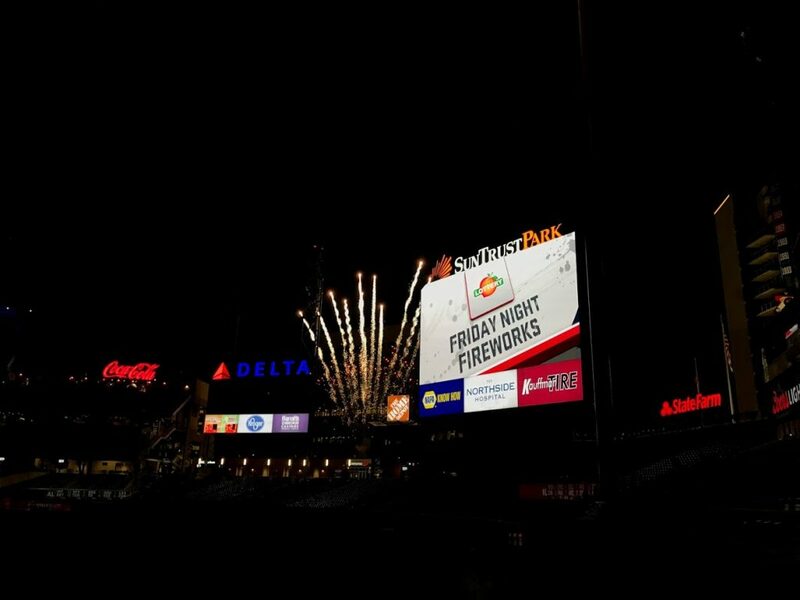 Open to all ticketholders, you can take a journey through the Braves 147-year-old franchise. From iconic jerseys and statues to interactive features, you are going to be whisked back through their most memorable moments. My favorite was listening to sportscaster Skip Caray as he announced Sid Bream’s game-winning slide into home that sent the Braves to the 1992 World Series. I will never forget that moment! 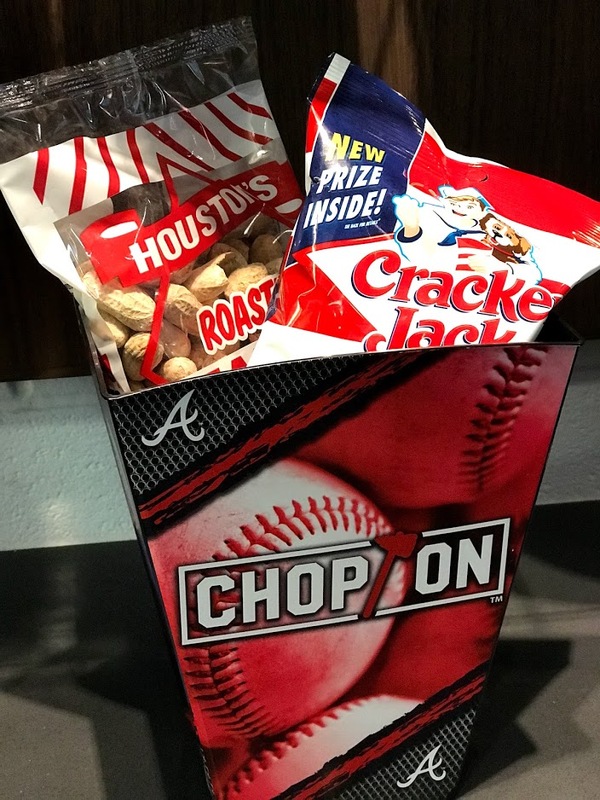 A trip to the ballpark is not complete without some peanuts and crackerjack! You can still enjoy your standard ballpark favorites like hot dogs, hamburgers, fries, ice cream, and beer, but maybe you are in the mood for something different? 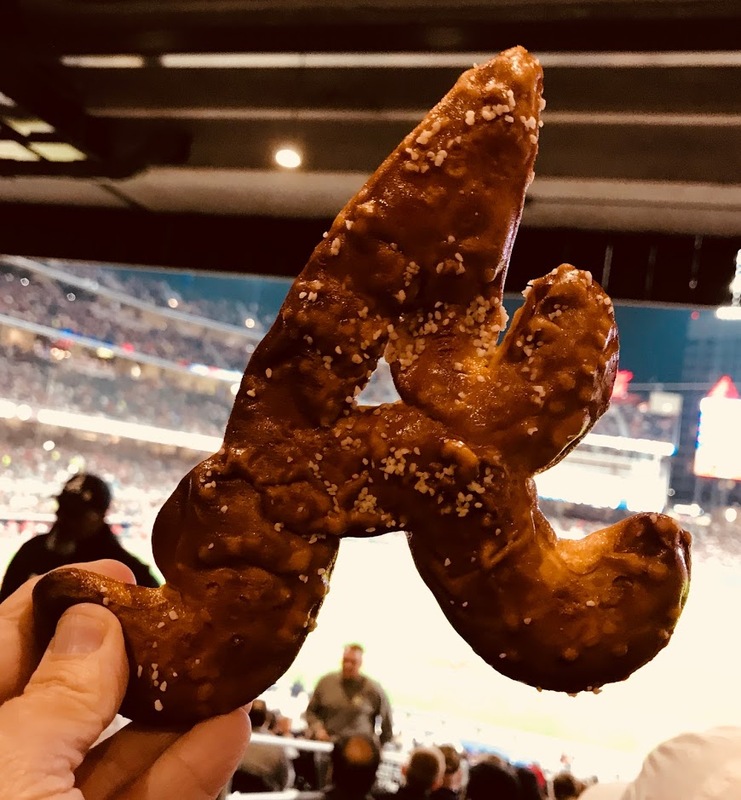 SunTrust Park has a fabulous food selection. Not only can you enjoy delicious eats in The Battery Atlanta, but also there are several noteworthy places to eat and drink inside the park like H&F Burger, Fox Brothers Barbecue, and Terrapin Beer Company. In the mood for Italian, Mexican, or Chinese? They’ve got that too! They even have a Waffle House on the 3rd level! Those with special dietary restrictions can find something to enjoy. Centerfield Market offers gluten-free snacks, fresh fruit, and more. Gluten-free hot dogs are also available for purchase. 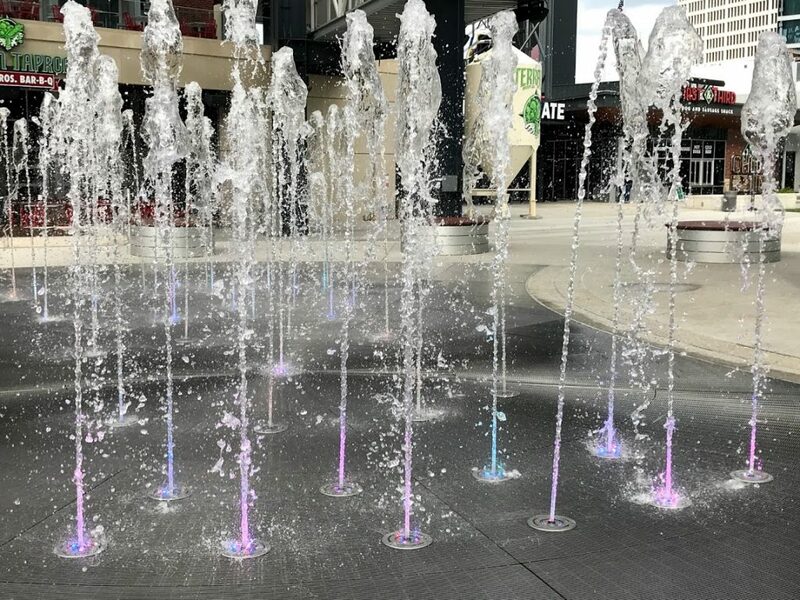 Beyond the food, SunTrust Park has more ways to make your baseball outing experience even better. Kids Run the Bases – Every Sunday after a home game, kids 4 to 14 are invited to run the bases. Free Mizuno Glove Rentals – Those that want to be prepared for a foul ball or a home run ball! 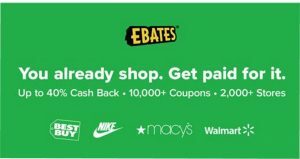 $1 is charged to your card until the glove is returned. Xfinity Rooftop – Provides an incredible view of the field from the top. This area is open to all ticket holders with lounge areas. Life-Sized Bobbleheads – Go on a scavenger hunt for life-sized bobbleheads 10 Braves legends. That is on my to-do list for next time! Even if you are traveling with young fans, there is plenty to do here that will keep them engaged. Hope & Will’s Sandlot is a kid-friendly interactive zone hosted by Children’s Healthcare of Atlanta. Featuring a variety of carnival games and recreational attractions like a rock climbing wall, batting cages, and zip lines, this area will help entertain the smallest guests that can’t sit through nine innings of baseball! 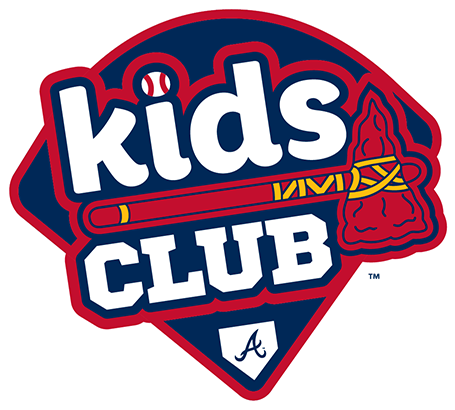 The Braves Kids Club is perfect for the fan under 14 years old. Choose from the Rookie Membership or the All-Star Membership. 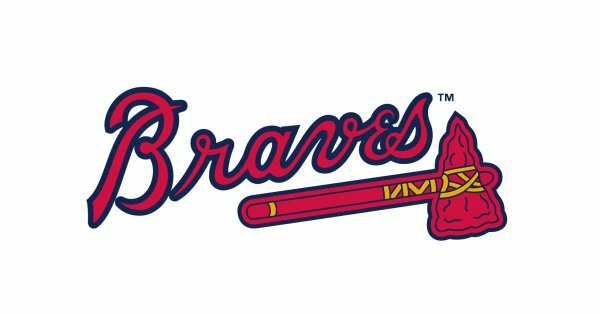 Rookie Membership is free and includes a Braves passport and lanyard! Opportunities to earn prizes at Braves home games and invitations to other kid only events are ongoing. All-Star Membership is only $25 and includes several benefits. For * information, please see website. There is nothing quite like the feeling you get when you are cheering on your home team! Having been apart of the energy during opening weekend, the excitement in that ballpark is contagious. I am not that much of a party girl. I do not generally dance or move to the beat when I go to things. I kind of just sit back and relax. I am the girl who likes to take it all in. Not here! My body just caught on to the energy and did not let go until the last pitch in the 10th inning. The overall atmosphere is contagious. You can’t help but WANT to be apart of the action even if it is from the stands! Both young and old were dancing and getting their #chopon. 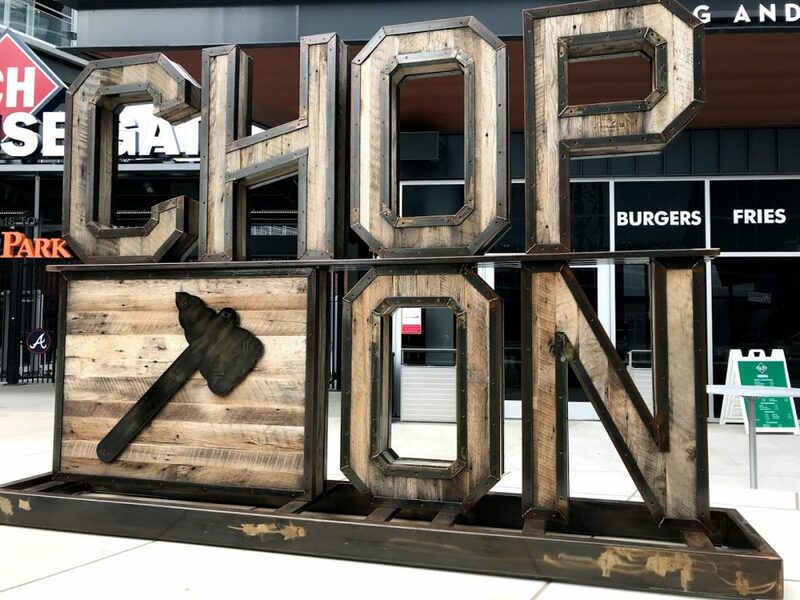 Before I knew it I was getting my chop on and dancing in my seat hoping to catch the attention of the film guy looking for people to put on Braves Vision! This was seriously some of the best fun my family and I have had in quite a while. You just could not help but root, root, root for the home team. 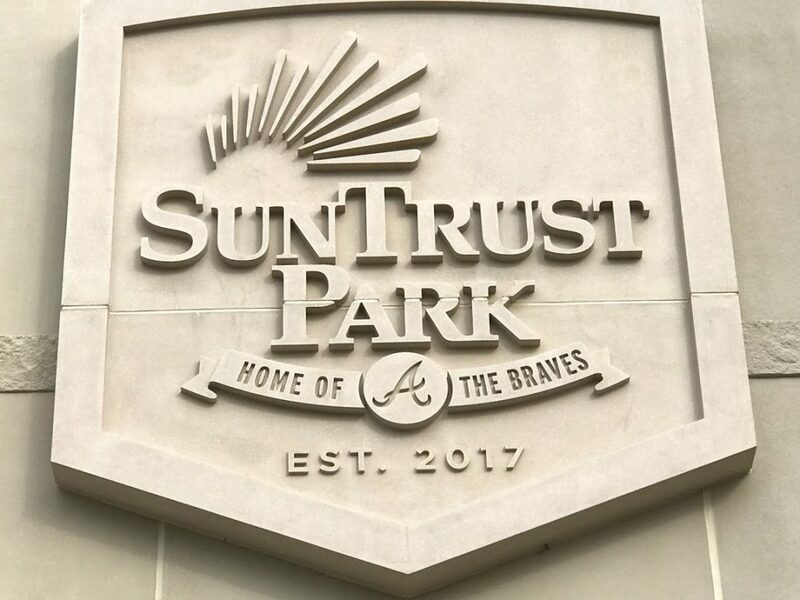 I've never been to Suntrust park but I think it's exciting. It's definitely a great place to visit. Thanks for sharing! If we get to travel down that way I'll be sure to buy our tickets and parking in advance. The guys can hit the game while I hang out in live-work-play environment. Who am I fooling I'd feel all the excitement and have to join in. I haven't been to a baseball game before, I've been to a football game a long time ago and it was really fun for the whole family. This looks like a really cool afternoon / evening out! Love the look of that pretzel! Yum! I have never heard about the park. It is a really interesting place to spend a good time with a friend/ friends. It looks like you had a really lovely time. I like that you say you could have a family day out here too, that's a really lovely idea and I am sure you will make so many memories doing this. This looks like a really great way to spend time with family and enjoy the game. The pictures look great and the place is all perfect to spend time having fun. 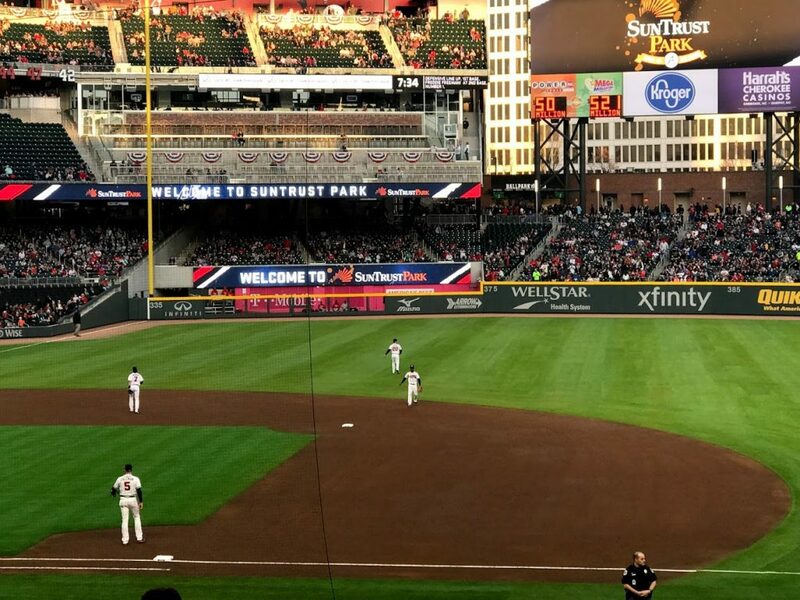 Sun Trust Park sounds like a fun time! We don't want much baseball, but sometimes watching a sport live makes it so much more interesting than watching on TV. You took some really nice pictures! I've never seen a game in person, but I know it would be a lot of fun! Now I understand what the fuss is all about. 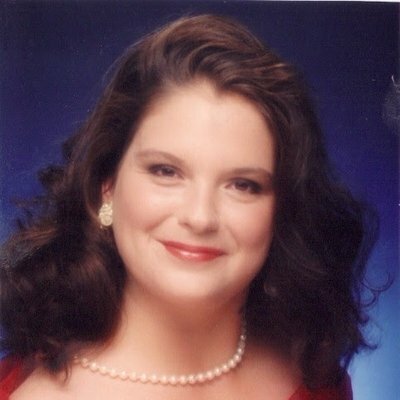 I have a few friends who are Braves fans and I think I finally know where they're coming from. Awesome place, cool atmosphere, great team!